I am a social media JUNKIE, Facebook Twitter, Tumblr and Instagram. I'm all on it. Every week the internet teaches me something about the world. Sometimes good, sometimes bad and sometimes I learn things so awkward all I can do is stare in space and wonder what the hell is going on in the world. I've decided to write these things down every month because it'll be selfish to keep these jewels to myself. ENJOY! 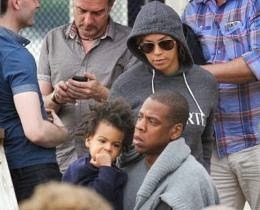 Blu Ivy's bad hair day. I used to be like most people who just didn't understand why Jayz and Beyoncé didn't do Blu Ivy's hair. Just a messy Afro for the most part. No barrettes, no cute head bands or even braids. The way black women are about hair appearance is intense and it intensifies when it comes to young girls. Then one day I decided, her hair is done, and I just don't particular like the style. Black people generally have thick, tightly curled, coarse hair. So her parents let it do what it does naturally, and as long as it's clean what is the problem. That's when this current picture of Blu Ivy popped up, her hair clearly matted and messy. I once again thought to myself, well, maybe I just don't like her style. Who am I to say it's not done. Then I went further to think that this child's name is Blu, and her mothers name is Beyoncé, both names that would be passed over if on a resume because by American standards they aren't traditional , yet what Blu and Beyoncé are fortunate enough to have is money. They're rich, and money brings access, which means they hardly have to adhere to mainstream notions, because money already opens many doors for them. So, relax and get over it. I don't understand why the hair of a 2 year old is sending people in a tizzy, read this again, out loud. She's two freaking years old, why are you talking badly about a child? Time to reevaluate your life perhaps? The internet went crazy when mother, Karlesha Thurman posted this picture on a Facebook thread that stated, "Black women breast feed Too.". The 25 year old mother posted the picture to promote breast feeding. It's a picture of herself at her COLLEGE graduation posing in her cap and gown, with her baby also on her breast, visibly breast feeding. How dare she get educated, I dare her child get hungry during the ceremony and how dare her breast be full of nourished milk for her child! Yes, that's exactly how ridiculous most of you sounded. I even saw a forum talking about it, and her being an unwed mother came into question. How her marital status relates to her breast feeding and posting correlates is a concept I've yet to been able to grasp, but that's a whole 'nother rant, and I really don't have the time. People post many things they are proud of on social media, their new weave, cars, twerk videos, their children cursing, but a mother breast feeding at a graduation is ratchet? Please go straight to Masidon Square Garden and have several thousand seats! I saw an article that showed spikes being placed in many locations in London, England, to deter homeless people from sleeping in them. Photographs of metal studs on the doorsteps of a luxury block of flats on Southwark Bridge Road in central London first spurred outrage in London and online on Saturday. Then I learn that this isn't uncommon, in China there are some parks with spike benches, which you pay for spikes to lower themselves to prevent homeless people from sleeping on them. 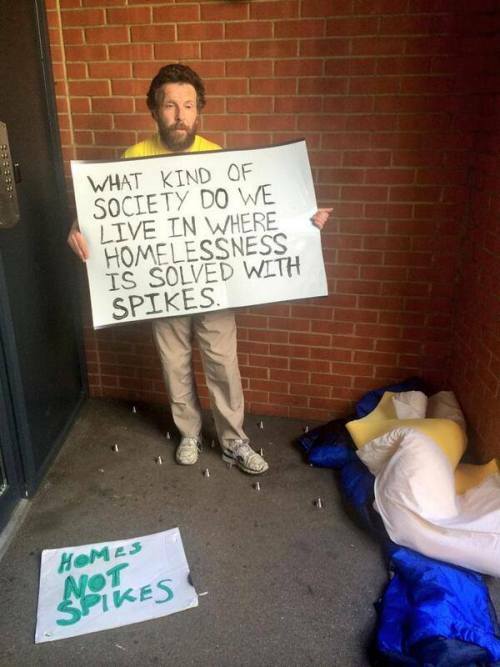 All of this money on spikes, why not use that to deter HOMELESSNESS, you know the real problem. Police Officer wearing her Hijab, YASSSSS!! 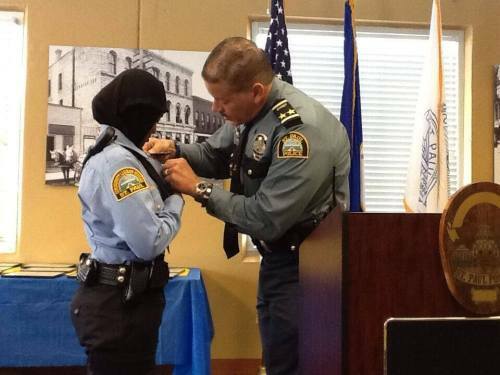 I close today with something great Congratulations to Kadra Mohammed the first Hijab wearing Muslim woman sworn into the St Paul Police Department. St. Paul is also one of only a few across the nation to now allow the hi-jab, or headscarf, to be worn on the job. “The reason I’m even here today is because I had an idea firmly set in my head, and I worked really hard to try to get to this dream of mine. I want to tell you guys to continue on doing a good job,” Kadra Mohamed said. 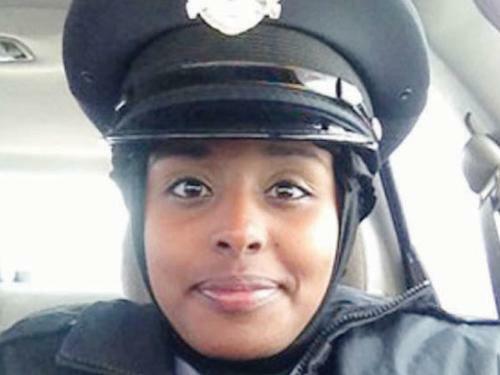 No other department in the state of Minnesota has hired a Somali woman to work on their force. I'm all for breaking boundaries and ceilings go serve, protect and keep the streets safe, Hi-jab and all!